In this summary RIA refers to a Research and Innovation Action, IA to an Innovation action and CSA to a Coordination and Support Action. To who: A game developer focusing on disruptive innovation and fast market up-take. In particular it will be interesting for entrepreneurs and young innovative SMEs, including start-ups that are looking for swift support to their innovative ideas. (B) IA, experimentation of cloud-based services and their deployment configurations in large- scale decentralised and federated environments or piloting and demonstration in near-operational settings that could lead to the introduction and uptake of new, flexible and resource-effective cloud solutions for SMEs and/or the public sector. At least three legal entities. Each of the three must be established in a different EU Member State or Horizon 2020 associated country. All three legal entities must be independent of each other. To who: IA, a SME game developer or a SME middleware developer focusing on leveraging emerging ICT technologies for the development of innovative products, tools, applications and services with high commercial potential. To who: IA A game developer or a middleware developer focusing on immersive and pervasive solutions for increased personalised user experience (e.g. hyper- personalized, real-time storytelling, QoE, free viewpoint, augmented reality) AND/OR trying to enable the interaction with content on any device, anywhere, anytime in a multiplatform scenario AND/OR advancement of accessibility solutions specifically for converging media and content AND/OR new services build around content aggregation, annotation, mash-ability, verification, analysis, search, media sharing and recommendation. To who: RIA and IA, A game developer or a middleware developer focusing on technologies for the production of new content or for the enhancement and (re-)use of already existing digital content of any type. The production or acquisition of the content itself is not to be financed through these actions. (A) RIA, A game developer wiling to focus on the development of intelligent, affordable and personalised interfaces and affective computing for people with cognitive disabilities OR A neurogame developer focusing on developing and testing solutions, models and algorithms to improve (and act upon) information extraction from brain and neural signals, including through advances on state of the art electrodes and implantable devices. IA, A game developr or a middleware developer wiling to focus on novel designs and tools to provide users with the functionality they require without exposing any more information than necessary, and without losing control over their data, to any third parties OR tools and methods to assist organisations to implement the General Data Protection Regulation (GDPR) taking into account the final provisions of GDPR and guidance from relevant authorities OR develop innovative, secure and privacy enhancing digital identity platforms beyond national eID systems. To who: A health game developer focusing on disruptive innovation and fast market up- take in ICT for health, wellbeing and ageing well. In particular it will be interesting for SMEs and young companies that are looking for swift support to their innovative ideas. To who: IA, Any serious game developer willing to focus on technology transfer through small scale experiments on developing and validating open gaming technologies (augmented and mixed reality, 3D audio and video, virtual worlds, interactive storytelling, narratives, modelling and data, etc.) and mechanics including from sectors other than the gaming industry into non-leisure situations and scenarios for training and motivational purposes. (A) IA, an edugame developer or a middleware developer focusing on developing and testing open, interoperable components for a flexible, scalable and cost-effective cloud-based digital learning infrastructure (e.g. authoring and modelling tools; syndication tools; networked objects; electronic publishing platforms; social and collaborative networks) to deliver user-driven innovation in technological solutions (e.g. 3D simulation and modelling technologies, visualisation technologies, augmented and virtual reality, location intelligence, intelligent tutors and other adaptive and multimodal technologies) and educational services (e.g. learning analytics for creating, collecting, storing, sharing learner/educational data in a systematic, secure way) for primary and secondary education, for personalised, collaborative or experimental learning and skills validation. (B), RIA, an edugame developer or a middleware developer focusing technologies for deeper learning of Science, Technology, Engineering, Mathematics, combined with Arts (STEAM), improving the innovation and creative capacities of learners and supporting the new role of teacher as a coach of the learner. RIA, A health game developer willing to focus on innovative and efficient strategies, tools and/or programmes for promoting sustainable and healthy dietary behaviours and lifestyles. To who: RIA, IA, A health game developer willing to focus on develop a proof of concept of radically new solutions for a personalised “virtual coach”, building upon intelligent ICT environments, access to relevant physiological and behavioural data, new forms of accessible interaction based on tangible user interaction concepts, open platforms and emotional computing. Usability and ease of user interaction should be essential design elements of the “coach”. (A) IA, Organisations interested in establishing a structured dialogue between creative people and technologists and promoting the replication of successful initiatives across other industries and European countries. The organisations should launch a yearly Europe wide competition for the best creative product ideas and ensure the financial support of their realization, promote the selected ideas through highly visible actions addressing both the general public and potential investors and develop a sustainability strategy to ensure the persistence of the experiences gained. (A) At least three legal entities. Each of the three must be established in a different EU Member State or Horizon 2020 associated country. All three legal entities must be independent of each other. 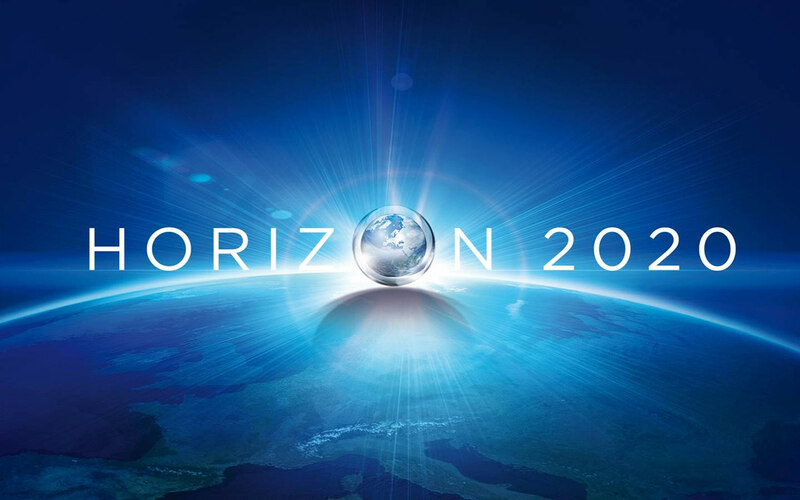 (B) At least one legal entity established in an EU Member State or Horizon 2020 associated country. To who: CSA, Organisations increasing awareness of the latest technological developments among policy stakeholders, making researchers aware of the current and future policy and regulatory framework and monitoring the state of the art of the European Media and Content sector in a digital single market and organisations Supporting R&D programmes/activities, dissemination of results and organisation of scientific and/or policy events and analysing and developing research agendas and roadmaps, pre-standardisation initiatives and stakeholders coordination in Convergence and Social Media. (A) Organisations interested in reinforcing ICT ecosystems for high growth tech startups by interconnecting and creating new synergies between 3-4 different Startup hubs across Europe per project. Activities should focus on scaling-up of companies by connecting, across different entrepreneurial ecosystems. Furthermore, the organisations should facilitate financing and improving the liquidity for European investments in fast growing ICT startups, increasing their chances for a successful exit. To who: IA, The organisations interested in developing new models, to investigate and to test new mechanisms that the young generation is engaging in, for addressing societal challenges coupled with an entrepreneurial spirit as well as effective ways and mechanisms for collecting and promoting innovative ideas from the young people. Particular attention should be paid to gender issues.